The Spring 2014 CONS Collection featuring the CONS Star Player and CONS Aero Jam are proposed in new bold colors. The remixed silhouettes coupled with eye-catching details emulate the synergy of creative street culture and delivers a range of sport-inspired color tones. Also, an all-new style for spring is the updated Star Player Skate sneaker featuring the CONS traction rubber and gusseted tongue. 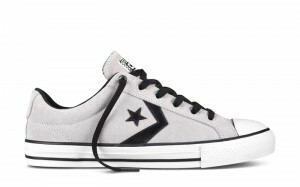 The new Spring 2014 Converse CONS Collection launched globally on Feb. 14 at Footlocker, Footaction and Champs stores as well as Converse retailers and Converse.com. 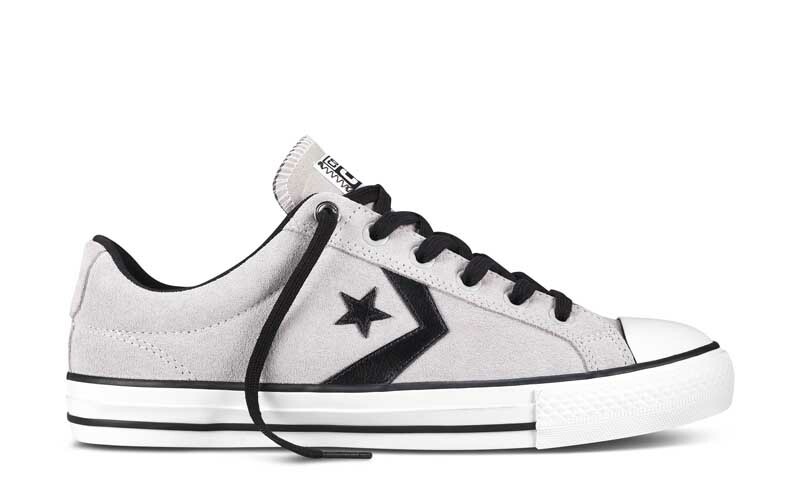 The CONS Star Player is built tough for modern street culture with an all-new update. An redesigned open collar and drop-in Lunarlon sockliner make for a new fit and a new step. The sneaker also features extra cushioning for optimum support and comfort and is offered in a range of refreshing colors for spring. Available Colors: Radio Blue, Black, White, Charcoal, Oyster Gray, Red. Suggested Retail Price: $55. The Converse CONS Star Player Plus brings back an iconic style with a new twist that embraces a sport influence throughout the design. The new sneaker features a combination of canvas and nubuck materials, molded collar details, and pops of bright stitching accents. Design details include the iconic Star Chevron logo, white toe cap and a padded collar for extra cushioning. Available Colors: White, Mesange, Radio Blue, White, Gray, Black, Red, Black. Suggested Retail Price: $70-$75. The CONS Star Player Skate features a new twist by introducing the iconic silhouette to the skateboarding collection. The CONS Star Player Skate, available in mid- and low-top styles, comes equipped with a molded Lunarlon sockliner, CONS traction rubber, perforated memory foam and gusseted tongue. Available Colors: Oyster Gray, Ensign Blue, Khaki, Black, Graphite, Black. 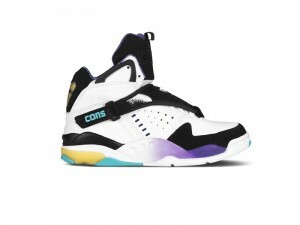 The CONS Aero Jam, a remastered silhouette, returns with three fresh color updates apropos to the season. The sneaker features an oversized tongue, removable and reversible lace shroud details and embraces a sports-inspired aesthetic. The remixed silhouette coupled with eye-catching details emulates the synergy of creative street culture and delivers a range of sport-inspired color tones. Available Colors: White, Charcoal, Red. Suggested Retail Price: $110.